When a situation has you confused, worried, scared, or just plain exhausted, SOS-Famille can help. Do you have a relative or friend suffering from mental illness? Are you burdened with worry, confusion and anger? AMI-Quebec can help. We offer FREE support and information to help you navigate through difficult times and find ways to improve your situation. Sometimes a support group is the right venue to share your experience and get support; at other times a specific workshop can help. Yet there may be times when individual attention in a counselling setting could be of help. The range of problems people need help with is all too familiar. 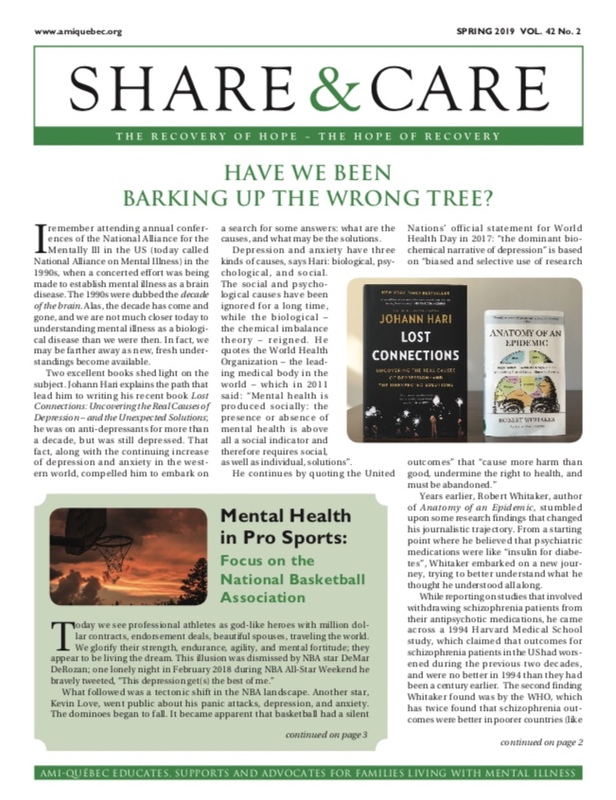 How to handle the fear a crisis situation can cause; whether it will help or hurt for a hospitalized relative to move back home after discharge; how to reclaim control over one’s life and still be a caring, supportive parent. Behaviour difficulties, communication breakdown and exhaustion top the list of family challenges. An assessment over the telephone will help determine if SOS-Famille could help with your situation. If so, it may take one or more sessions in our office. If you live outside the Montreal area, we can meet with you over the phone or over Skype. SOS-Famille is available across Quebec, but we can also help family members from outside Quebec who have a loved one who lives here. To assess whether this program is appropriate for your situation, or for more information, please call 514-486-1448 (1-877-303-0264 outside Montreal) or complete the form below. Please provide a brief description of your situation.